The Essential Guide to Buy a Microphones, today I’m going to show you the all types of microphones and my opinion to buy microphones. Do you want to let people hear your voice? Then, my dear buddy, it is the time to get a good microphone. No matter whether you want to address a public or working as an event manager for some great concert, all that is needed to make the event success is having a good microphone. From being a vital accessory while recordings to being an essential equipment for producing the soundtracks a good microphone is as essential as it could be. Although the market is full of brands that endow great microphones for the first timers choosing the best becomes a matter of concern. If the microphone is not perfect the quality of sound effects manifolds. So here we have come up with an insight as to how to select the best microphone. Before proceeding to the buying guide let us know the different types of microphones present in the market and what are they used for. These are mostly used during speeches or interviews as they are small in size and get tucked into the clothes. To make the voice or instrument sound perfect condenser microphones are used largely. If you have a USB microphone you can connect it directly to your PC for recordings. For engaging the crowd and covering the stage while taking wireless microphones work best. With these major categories of microphones let us know what should be kept in mind while buying one. Here are the most vital tips to consider while buying microphones. •Usability– The foremost thing to keep in mind is to know what your major purpose of getting the microphone is. Specifications vary for using microphones for vocals to those for instruments or speeches. As you already know the types of microphones along with their function asking the one you need from the seller could become easy. → Bi-directional microphones that take the voice from every direction. These are rarely used microphones by the professionals because every unnecessary sound from the background gets mingled with it. → Unidirectional microphones which take sounds based on the axis. These are cardioid, supercardioid, and hypercardioid depending upon the axis from which they take up the sound. These are perfect to use for all types of recordings and are most widely used as well. → Multi-pattern microphones whose pattern of taking the sound can be changed accordingly. They are versatile as their polar pattern can be adjusted as per the need of the sound recorder or vocalist. •Frequency response– While the polar pattern is essential, the ability of microphone taking different frequencies differs as well. it is considered that frequency ranging between 80 Hz to 15 kHz is good for vocalists and those between 30 Hz to 50 Hz is good for musical instruments. •Connectors– While looking for the connectors XLR lead and plug are considered the best to record the sound in the perfect ways. •Response Curves– The next important feature to consider is the response curve of the microphone. While frequency tells only about the range microphone will catch, response curve showcase it’s working at different frequencies. And this is the reason why it defines the microphone to the most. Therefore getting a thorough knowledge of it from the seller is very essential. •Sensitivity– How sensitive your microphone is, depends upon how quiet the sound it can detect. A sensitive microphone could detect even the slightest of the sound and its number will be less. • Sound pressure level (SPL) – This feature is opposite to the sensitivity as SPL determines the maximum volume of the sound microphone can handle. If your microphone can deal with loud sounds like that of the drum it is good to go. 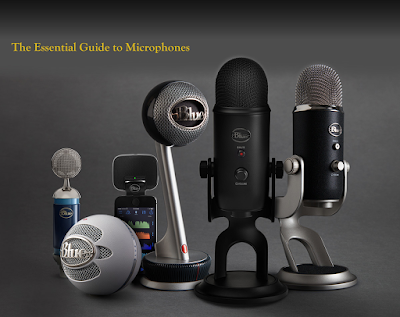 With these specific features and buying guides in hand, you could definitely choose the microphone best suited for you. If your preferences are sorted and your reasons for buying the microphone are clear, getting the best one is not a problem. Since these are just the buying guide with most essential steers focusing on the first timers, getting the most suitable one would not be a problem anymore. So take these tips handy and get the best for yourself. It is the time to rock and roll and create the best recordings of your life. All the Best!